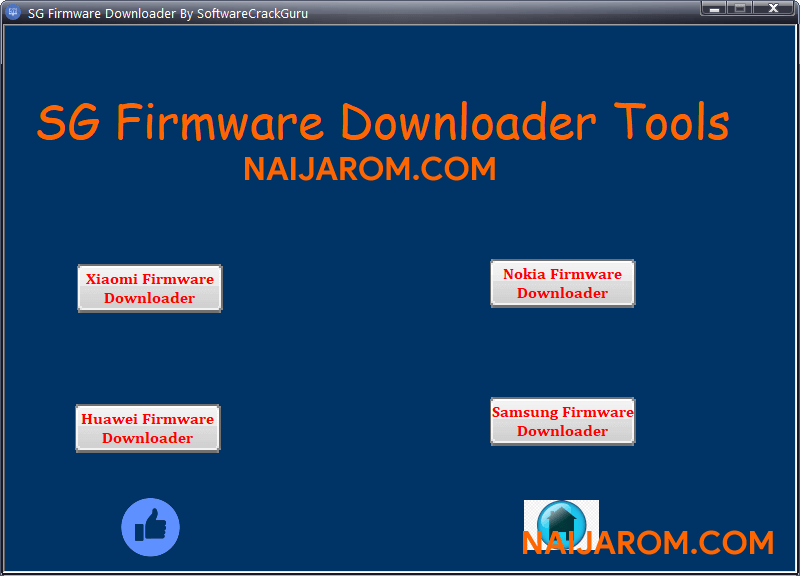 SG Firmware Downloader is a small application for windows computer which allows you to download the Stock firmware for Xiaomi, Nokia, Huawei and Samsung Smartphone and tablets. It allows you to quickly download the Stock Firmware for Xiaomi Smartphone, Nokia Smartphone, Huawei Smartphone and tablets, Samsung Smartphone and tablets. It allows you to download the Stock Firmware in two formats i.e OTA firmware and Full Firmware which is flashable through the Flash Tool. It offers you the direct download link of the Stock Firmware and doesnt require you to wait or cap the download speed of the firmware. In order to use the SG Firmware Tool properly, you need to install the Universal ADB Driver on your Computer. Once Driver is installed you can successfully connect your Android Device to the computer, and launch the SG Firmware Tool on the computer. [*] Credits: SG Firmware Downloader is created and distributed by Software Guru Team (developer). So, full credits goes to Software Guru Team (developer) for sharing the tool for free.